when applying a vertical-three-colors gradient on a <tr> in IE11, I get a buggy display: the gradient does'nt extend to the full width of the <tr>. 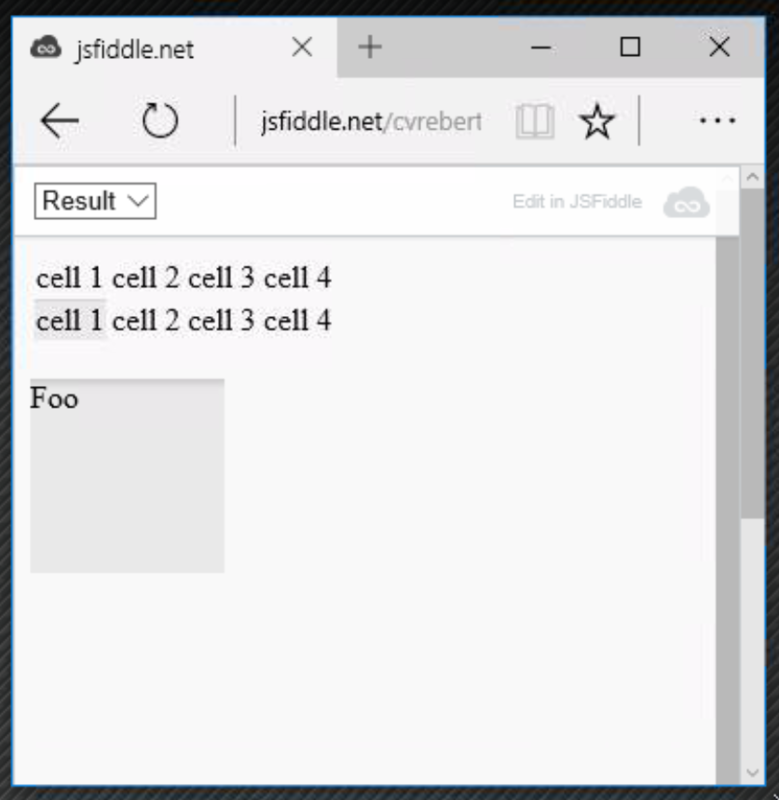 in this sample, running IE11, I only get the first cell to be filled. The situation doesn't happen if I remove the background-repeat: no-repeat; property, which makes me wonder why it's there to begin with. The situation doesn't happen if I remove the background-repeat: no-repeat; property, which makes me wonder why it's there to begin with. Assuming the background-repeat: no-repeat turns out to be intentional, there's nothing further we can do. It's a bug in the browser itself. thanks for the investigation. I guess I'll have to force background-repeat: no-repeat, then. Aside of this, I'm a bit surprised by the default repeat behaviour, since we already have repeating-linear-gradient for that purpose. I tried browsing the specs but couldn't figure out where this repeating gradient behaviour comes from. I've a suggestion: maybe we could set background-repeat: repeat-x instead of no-repeat for vertical gradients ? tried it with the examples you provided and it seems to give fine results. I can make RodolpheGohard@36dc411 into a pull request if needed, not sure if I should include all the dist files though. Pull requests shouldn't include dist files. But I'd advise waiting for @mdo to reply before opening the pull request. Bootstrap 3 is no longer being officially developed or supported. All work has moved onto our next major release, v4. As such, this issue or pull request is being closed as a "won't fix." For additional help and support, we recommend utilizing our community resources. Thanks for your understanding, and see you on the other side of v4!